Our success at ACRT Pacific is rooted in our people. We have a simple goal: we empower the best people to help sustain our world. People are so important to our continued success that we’ve made it our key strategic mission. In fact, the four pillars of our company are people, process, dedication, and education. We believe that happy employees make happy customers, and it’s the key to achieving continued growth and a secure future for our company. We’re an independent vegetation management consulting firm — giving us the freedom to put our clients first. That independent streak runs throughout our company. Our work is often done independently, as we are tasked to walk the circuit on our own or take the lead in finding the right solution for our customer. Our people love how our work connects us to nature and gives us a chance to see the country. Because our people drive our success, we make an exceptional effort to take care of them. We put their safety first, always. Beyond that, we focus on their nonstop training. We like to say that we train the industry, and this starts with ensuring that our team is dedicated to ongoing development. We’re continually looking to add the best people to our organization. If your goal is to work at a company that values the growth of its employees, ACRT Pacific is the right fit for you. We have an employee stock ownership plan (ESOP) for eligible employees through our holdings company ACRT Services. That means you’ll become a true part of our company. We help our team grow in their careers through a dedication to training. As a result, our leadership team is filled with people who began their careers with us patrolling rights-of-way. Our goal is to continually provide opportunities like that for our people. We are built around people. If you’re looking for a new career, check out the positions available across our holding company, ACRT Services. 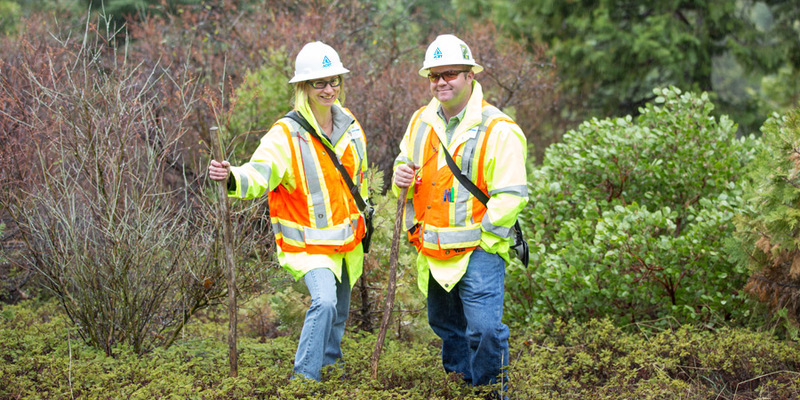 At ACRT Pacific, our culture is all about our people. We hire and train the best in the industry.